DDoS attackers launch hundreds of DDoS attacks every day. When a DDoS attack strikes an organization, panic is common. No one knows why systems and applications are failing, who to call, or what questions to ask. Meanwhile, senior leaders want answers. 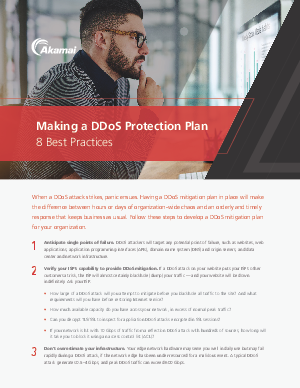 Planning ahead and being prepared is your best defense against DDoS attacks.